Clark the Carver of Carve Me A Bear! 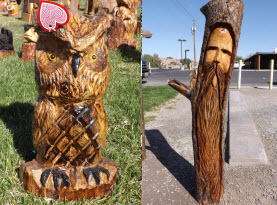 Chainsaw Carvings in Las Vegas, NV supplies the locals and those in surrounding areas with a number of incredible chainsaw craving sculptures. 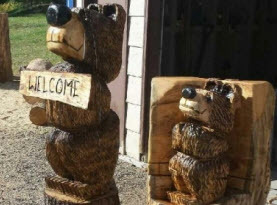 Ranging in many different specialties, Clark the Carver creates a plethora of favorite animals, mountain men and wizards, totems and tikis, memorials and names signs, furnishings and even turns old tree stumps into marvelous works of art. With Carve Me A Bear! 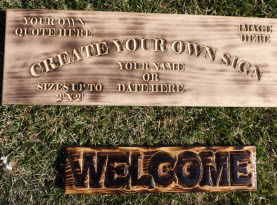 Chainsaw Carvings, the possibilities are endless and you can have your choice of carvings predesigned by Clark the Carver or have something custom made. Included in Clark the Carver of Carve Me A Bear! Chainsaw Carvings repertoire are moose carvings. Moose appeal to many with their adorably awkward movements and deer like appearance. They are the largest of the deer species and are the most recognizable with their monstrous antlers which can easily spread up to 6 feet from end to end. With their adorable long faces and cute muzzles dangling over their chins, they also have a distinct flap of skin known as the dewlap that sways beneath the throat. Because moose are so tall they tend to graze in high grassy fields and due to their bulk antlers and large heads, the lower they drop their heads the more difficult it becomes. During the winter months, moose will eat moss known as lichen as well as pine cones. Moose are actually very much at home in water-like settings. In the summer they will be seen in lakes, rivers, and wetlands feeding on aquatic plants equally to grass and shrubs. They are fairly good runners and decent swimmers. 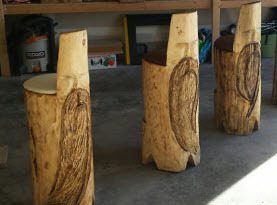 If your or a loved one are partial to these moose beauties contact Clark the Carver of Carve Me A Bear! Chainsaw Carvings in Las Vegas today!